Five days a week we are out exploring and fieldtripping. We cannot help it, learning is just way more fun when you are visiting a museum, going on a nature walk or hanging out with friends at a group activity. Everyone may not agree with our road-schooling style, but it is what works best for our family. The kids are more engaged and excited to learn and they retain the information they are learning better. One way we make the road-schooling work is by taking along amazing resources with us on our fieldtrips. When we head out to our fieldtrip we make sure we take along one of our fieldtrip exploration bags. We have 6 bags always ready to go which include things like books, magnifying glasses, colored pencils, clipboards, resources from the venue (which are generally available on their websites under the educator section), tracing paper, tape measures and some of my fieldtrip journal pages (digital download currently 20% off for 60+ journal page file). We have a bag for each type of venue...art museum, history museum, zoo, aquarium, etc. Recently we received some great resources from National Geographic Kids that we will be adding to our bags for upcoming fieldtrips. This 1 inch thick, hard back book might be heavy to lug around the aquarium but that's okay it will definitely be going into our aquarium bag this year. 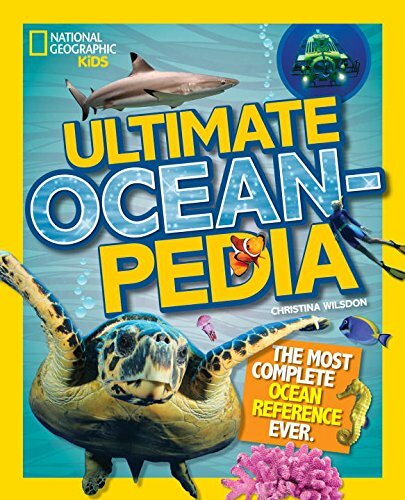 This 272 page book is the most complete ocean reference book you can find. It is loaded with amazing facts, stunning photos, maps and detailed diagrams. 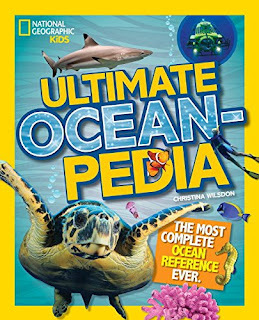 The book is broken into 7 chapters and covers: Oceans, Ocean Life, Ocean in Motion, Wild Weather, Underwater Exploration, Along The Coast and When People and Oceans Meet. One of the things my kids really love about this book are the "Bet you didn't know" blurbs found throughout. Like did you know that a sea otter needs to eat up to 30% of its body weight every day in order to get the energy it needs to stay warm? For a big male otter, that means eating about 25 lbs of food! In the back of the book there is a glossary to help your kids learn the meaning to various terms, a find out more section (includes links to websites, must see movies and recommended places to visit), and a detailed index which makes it easy to find exactly what you are looking for. As we looked through the book we also discovered it would be a good compliment to our upcoming fieldtrip to the local science museum too. The museum is getting in a special exhibit and Imax show related to weather. So of course the Wild Weather chapter of the book will be the perfect compliment. The retail cost of this book is $24.99. This nifty 350 pg, softcover, New York Times bestseller book is the perfect compliment for a variety of fieldtrips. Contents include Your World, Amazing Animals, Going Green, Culture Connection, Awesome Adventure, Fun and Games, Super Science, Wonders of Nature, History Happens and Geography Rocks. So as you can see it compliments many different subjects and topics. My daughter of course found the amazing animals section fascinating and my son was mesmerized by the Awesome Adventure section. I really enjoyed reading through the Culture Connection section. As we paged through the book which includes tons of animal stories, weird-but-true facts, amazing photographs, detailed maps, fun games/jokes/activities, reference materials and more our wheels began turning on ALL the fieldtrips we could utilize this book for. So it won't go into just one bag...it will have a permanent home in the car book basket. On page 16 there are some cool events highlighted for 2017 like Star Wars Day on May 4th (which we already have plans for) and International Tiger Day on July 29th (I think we will be heading to the zoo to celebrate). And man do I love it when books contain a detailed index like the Almanac does, it makes it so much easier to find specific topics/subjects. As I was browsing through the index I soon discovered that this book will compliment our Cultural Culinary Club, that we do every other month with our homeschool group, quite nicely. This Spring we will be learning about China, India and France as we dine at authentic restaurants around Atlanta. 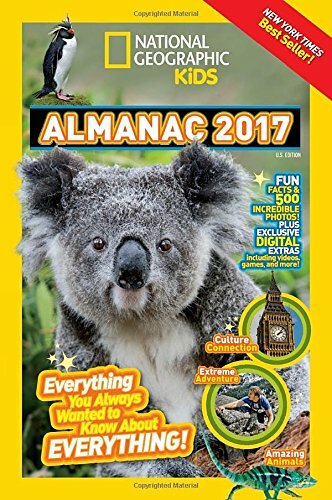 The almanac has several pages of material on each of these countries, how awesome is that? The retail cost of this book is $14.99. We are a rock hound family so this book has been a huge hit with the children. Every few months we go on rock/gem digging fieldtrips so learning all about rocks, minerals, and dirt is sort of never ending for us. This softcover, 128 page book covers everything you need to know about geology in a fun and unique way. It is one of the only National Geographic kids books that actually incorporates graphic novel aspects (my kids love graphic novels as you may know and we hope that Nat Geo will continue to add more to their lineup). 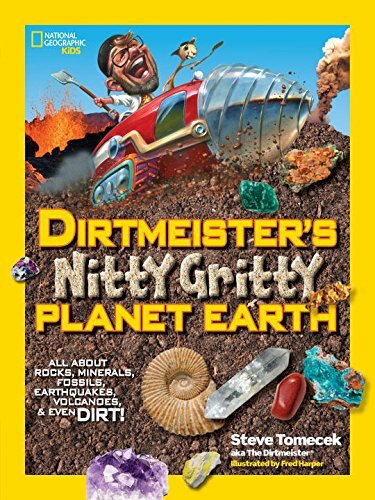 Throughout the book Geologist Steve Tomeck aka Dirtmeister and his sidekick Digger dig up amazing information including the origins of Earth, minerals, plate tectonics, erosion, sediments, biographies of scientists, rocks as resources and much more. The book has colorful illustrations, lots of fun facts and even simple experiments. For teachers or homeschoolers who follow educational standards the book even has a science standard correlation guide in the back of the book as well as an index. So get ready to dig in and learn all about geology with this book. The retail cost of this book is $12.99. One of our favorite museums in Atlanta is the Michael C. Carlos Museum. The museum has the largest ancient art collection in the Southeast which includes objects from ancient Egypt, Greece, Rome, the Near East, Africa and the ancient Americas. 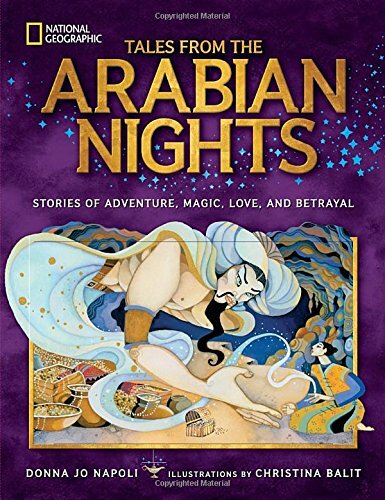 Tales From The Arabian Nights is a great book compliment for this fascinating museum. The hard back book is 208 pages and includes 17 tales from the areas we know today as Asia and the Middle East. The magical tales intertwined with beautiful full page colorful illustrations will take you on a journey where you will find adventure, love, royalty, monsters and even magicians. Unlike most storybooks there are sidebars throughout the book that connect the stories to history, culture, and geography. There is also a map in the back of the book that puts the stories into geographic context. Our favorite story so far has been the Ebony Horse. The retail cost of this book is $24.99. 100 times a day! That is approximately how many times a day my kids ask me how something works. Seriously they are so inquisitive and curious. This book answers everything from opera singers to the waves in the ocean. The hardback book is 205 pages long and provides children with quick answers as well as more complete explanations. The book is a great compliment to many fieldtripping adventures. We used it recently during our visit to the Children's Museum of Atlanta for the launch of their new special exhibit "From Here, To There." 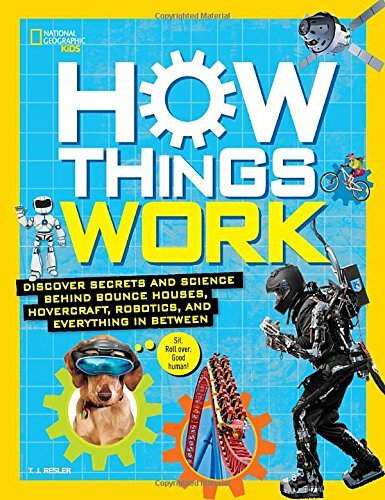 The new special exhibit focuses on how things move by land, sea and air, and thanks to this book any questions that popped up were easy to answer! The book contains numerous detailed diagrams and spectacular photos. There are tons of facts, inspiring bios and real-life stories. And there are even hands on activities to get children experimenting. The retail cost of this book is $19.99. I hope you learned about some new books and how books can be used compliment fieldtrips.